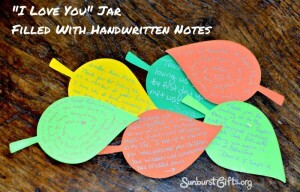 Use colorful paper cut in fun shapes, such as leaves, to use for the handwritten notes. 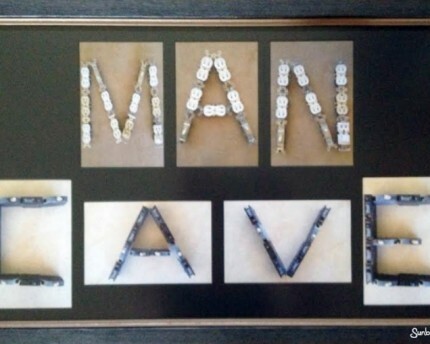 Leaves can represent a family tree. 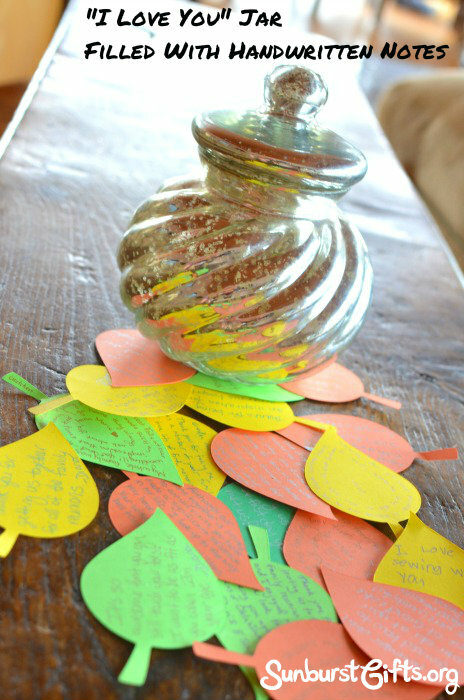 It was a beautiful sight to see that jar fill up higher and higher with the paper leaves as people added their love messages. 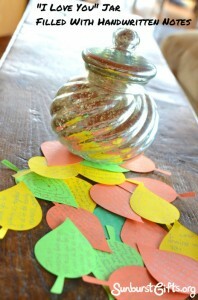 On the last night of the reunion, we presented my Grandma Anna Marie with the “I Love You” Jar. She was very touched that the gift came from everyone at the reunion and said she couldn’t wait to read the notes! 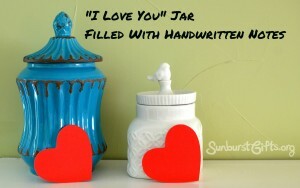 The “I Love You” Jar gift idea can be used for all sorts of occasions. 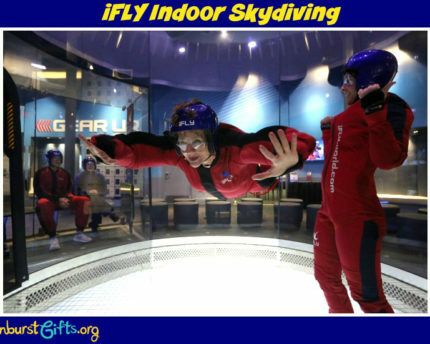 For example, besides family reunions, it can be given to a loved one on Valentine’s Day or to a teacher from an entire class of students. 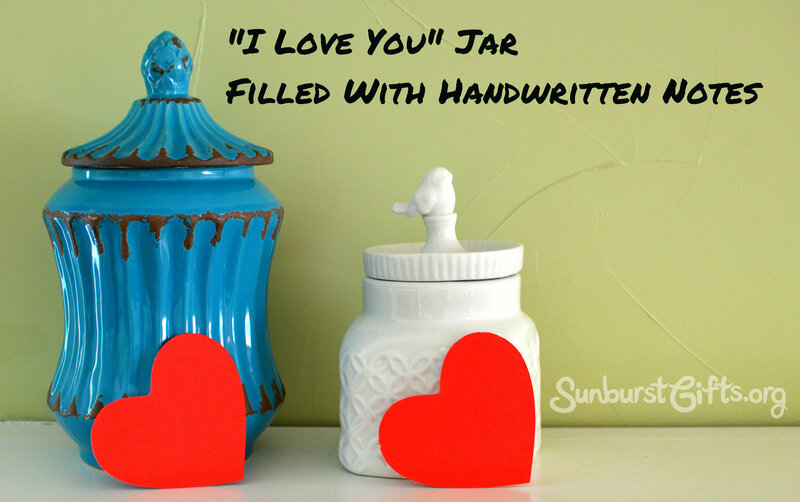 With the “I Love You” jar, you can easily tailor the type of jar and the shape of paper you use to the person and the occasion. 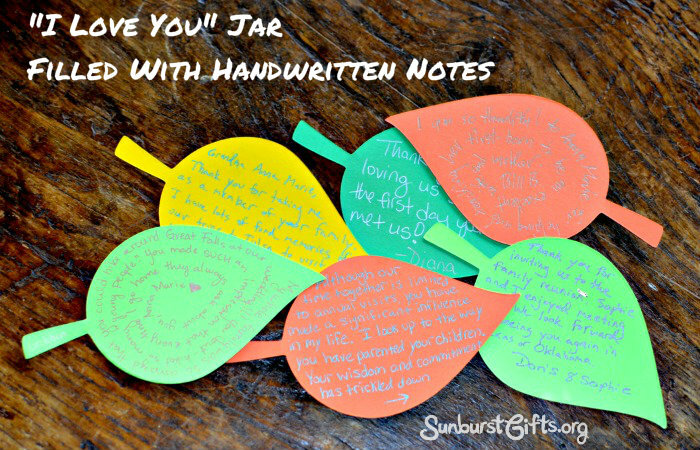 You can easily tailor the type of jar and the shape of paper you use to the person and the occasion. 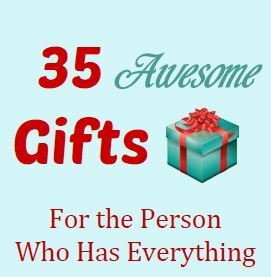 You can also change the name of the gift to an Appreciation Jar, Thank You Jar or Memory Jar.